ChargeIt by Jay Sunray Gold Glass Charger Plate 13"
Home > Products > ChargeIt by Jay Sunray Gold Glass Charger Plate 13"
Make a striking impression at weddings, formal receptions, and upscale dining by serving multi-course meals on the ChargeIt by Jay Sunray Gold Glass Charger Plate 13". 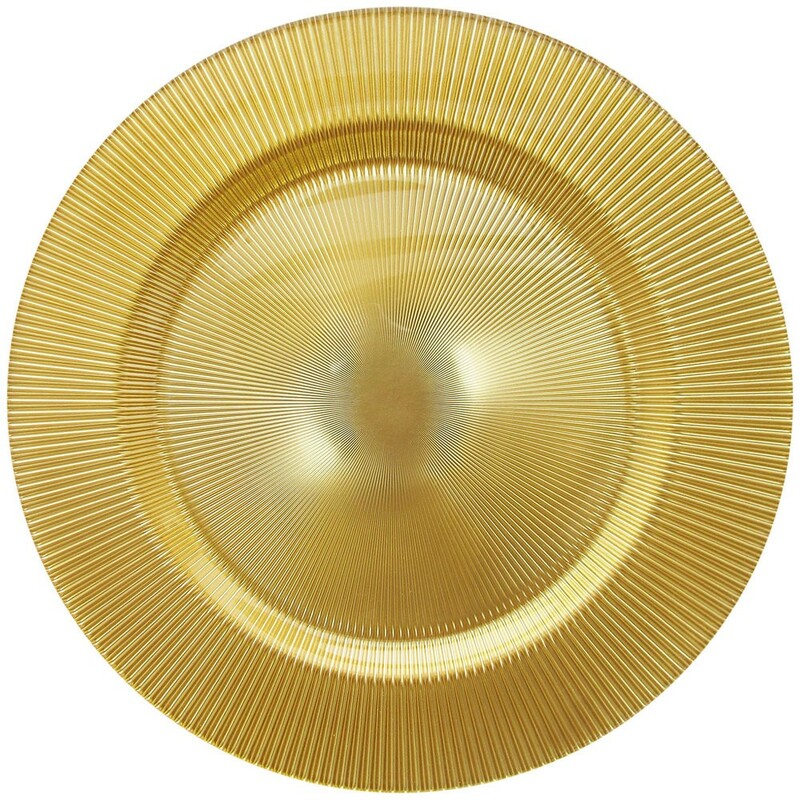 Boasting a glamorous gold hue with an exquisite design that is reminiscent of the sun's rays, this charger plate is an eye-catching addition that will surely impress guests. Thanks to its high quality solid glass construction, this charger plate has a delicate look that belies its exceptional strength and durability. This charger plate not only complements high-end table settings but also protects against spills and mess.